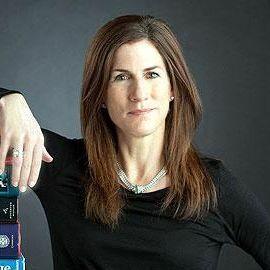 October 25, 2018 - Bloomfield Hills, Mich. – Oakland Literacy Council announced that Anne Curzan, a noted linguist and expert in the history of the English language, will deliver the keynote speech at the council’s annual fundraising event on Thursday, November 1, 2018, at the Village Club in Bloomfield Hills. Curzan is the Geneva Smitherman Collegiate Professor of English and an Arthur F. Thurnau Professor at the University of Michigan. She is the author of several books on the English language and a contributor to the “That’s What They Say” segment on Michigan Radio as well as a language blog for the Chronicle of Higher Education. Now in its 34th year, the council’s Ex Libris event will also feature a current student who has learned English with help from an Oakland Literacy Council tutor. In addition, the event will honor the contributions of local civic leader Barbara Van Dusen. “Barbara has been a longtime supporter of literacy efforts in general and the Oakland Literacy Council in particular,” said from Judy Lindstrom, president of the council’s board of directors. The event will begin with cocktails 6:30 p.m. followed by dinner at 7:30 p.m. at the Village Club, located at 190 East Long Lake, Bloomfield Hills.